"If we can get married abroad will our marriage be legally recognized?" For most counries the answr is :"Yes". Your marriage will be legally recognized but wedding abroad legal requirements can vary from country to country. Planning Sorrento will give you the right support for all your needs and our wedding planners will be able to provide you with a wide range of different types of services. Usually for getting married in Italy there are specific marriage requirements needed by foreign couples. In accordance with the nationality of the spouses paperwork documentation may be different and our wedding planners will be glad to help you thanks to their great experience with all legal documents required to perform a wedding ceremony in Italy. 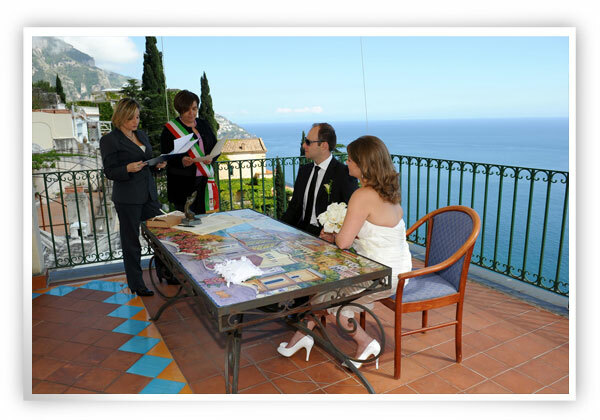 All wedding ceremonies performed in Italy are legally recognized throughout the world.